Each morning Anne and I sit down with our children for “Family Time”. We sing, we read Scripture, we talk about what we’ve read, we pray. 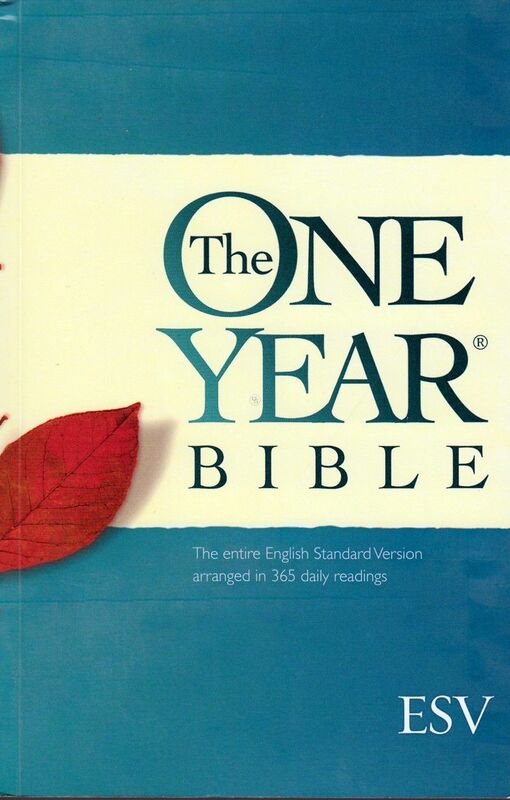 For our Bible reading, we use the “One Year Bible” – an edition which encourages you to read the whole Bible over the course of the year, psalms and proverbs twice. On January 1st, you’re encouraged to read Genesis 1, Matthew 1, Psalm 1 and the first few verses of Proverbs. On the last day of December, you finish the psalms and proverbs for the second time and come to the end of Revelation and Malachi. We don’t try to read it all. Two years ago, we read through the New Testament. Last year we read through the psalms and proverbs. This year we’re reading through the rest of the Old Testament. Today, on the last day of June, we read from 2 Kings ch 17. Reading through the Old Testament with four children is a challenge – for many reasons. I’m often surprised by the questions they ask – and equally surprised by the things they take for granted. One issue that has come up a number of times has been the importance of telling the truth, and whether it’s ever right to deceive somebody. That question comes up in so many of the stories we’ve read together over past months. When Joseph in Egypt met his brothers, he acted as if he didn’t recognise them. He pretended that he didn’t believe their story (Genesis 42:7-17). He arranged for his servants to hide his cup in Benjamin’s sack and then accused them of stealing it (ch 44 vss 1-15). Yes, he intended that eventually he would let them know the truth, but for the present, he deceived them. He gave them the false impression that he thought they were thieves. When the Israelite midwives were commanded to kill every Israelite boy, they “feared God and did not do as the king of Egypt commanded them, but let the male children live. So the king of Egypt called the midwives and said to them, ‘Why have you done this and let the male children live?’ The midwives said to Pharaoh, ‘…the Hebrew women…are vigorous and give birth before the midwife comes to them’. So God dealt well with the midwives…” (Exodus 1:17-20). Moses was told by the Lord to lead the Israelites out of Egypt, so that the Lord could bring them to Canaan. “I promise that I will bring you up out of the affliction of Egypt to the land of the Canaanites….” (Exodus 3: 17). But then he was told what to say to Pharaoh. He was not to say anything about a journey to Canaan. Instead, he was to say, “Please let us go a three days’ journey into the wilderness, that we may sacrifice to the LORD our God” (vs 18). Rahab hid the Israelite spies who came to her house in Jericho, but when questioned declared that she didn’t know who they were and that they had already left: “ ‘When the gate was about to be closed at dark, the men went out. I do not know where the men went. Pursue them quickly for you will overtake them’. But she had brought them up to the roof and hid them” (Joshua 2:4-6). The Lord told Joshua to use a stratagem to capture Ai. A division of the Israelite army was to pretend to flee in order to draw the defenders away from the city, leaving it exposed to attack by the main Israelite force. “We shall flee before them. And they will come out after us, until we have drawn them away from the city. For they will say, ‘they are fleeing from us, just as before’. So we will flee before them…’ ” (Joshua 8:5-6). The inhabitants of Gibeon lied to the Israelites about where they lived and saved themselves from extermination by doing so . The Israelites believed the lie, entered into a covenant with them, and stood by it when the truth emerged (Joshua ch 9). Jael deceived Sisera into thinking that he had nothing to fear from her. “Turn aside, my lord, turn aside to me; do not be afraid”. And then while he was asleep, she killed him (Judges 4:18-21). Gideon deceived the Midianites into thinking that he had a vastly greater army than he had, sent them into panic, and won an overwhelming victory (Judges 7:16-22). Samuel was told by the Lord to go to Jesse’s home in Bethlehem to anoint one of his sons as king. But he was also told to conceal the real reason for the trip. And he did. “Samuel said, ‘how can I go? If Saul hears it, he will kill me.’ And the LORD said, ‘take a heifer with you and say, I have come to sacrifice to the LORD…’ The elders of the city came to meet him trembling and said, ‘do you come peaceably?’ And he said, ‘peaceably; I have come to sacrifice to the LORD’ ”. When David suspected that Saul intended to kill him and went into hiding, Jonathan tried to deceive Saul about David’s whereabouts. David was hiding in the fields outside the town but Jonathan told his father, “David earnestly asked leave of me to go to Bethlehem. He said, ‘let me go, for our clans holds a sacrifice n the city, and my brother has commanded me to be there. So now, if I have found favour in your eyes, let me get away and see my brothers’. For this reason he has not come to the king’s table.” (1 Samuel 20:28-29). David fled from king Saul to Ahimelech the priest and told him, “The king has charged me with a matter and said to me, ‘let no one know anything of the matter about which I sent you, and with which I have charged you’…The king’s business required haste.” (1 Samuel 21:2-8). On another occasion, David took refuge among the Philistines. But when they turned against him, he “changed his behaviour before them and pretended to be insane in their hands and made marks on the doors of the gate and let his spittle run down his beard” (1 Samuel 21:13). During a later stay with the Philistines, David “made raids against the Geshurites, the Girzites and the Amalekites” (1 Samuel 27:8.) But when the Philistine king questioned him, “‘Where have you made a raid today?’ David would say, ‘Against the Negeb of Judah’, or ‘Against the Negeb of the Kenites’. ” (vs 10). During Absalom’s rebellion, David urged his counsellor Hushai to stay in Jerusalem and to pretend to Absalom that he had changed sides. “If you return to the city and say to Absalom, ‘I will be your servant, O king, as I have been your father’s servant in time past, so now I will be your servant’, then you will defeat for me the counsel of Ahithophel…” (2 Samuel 15:34). So Hushai became David’s mole in Absalom’s team and saved the day for David. The king of Syria send troops to capture Elisha who was then living in Dothan. They surrounded the city. But the Lord struck them with blindness. “And Elisha said to them, ‘This is not the way, and this is not the city. Follow me, and I will bring you to the man whom you seek’. And he led them to Samaria .” (2 Kings 6:19). That’s just the first half of the Old Testament – the part we’ve covered so far in our Family Time. And these are only a selection of the occasions we read about when people used deceit to accomplish what seem to be good ends. I could have given many other examples. What do we make of them? Let me list out three points which Christians (and preachers!) often make when faced with passages like these. The first point they make is that not all these examples involve direct lying. When Joshua at Ai told his troops to pretend to flee, he didn’t actually lie to the enemy! It was the enemies’ decision to interpret the Israelites’ retreat in that way. When David pretended to be mad, he didn’t shout out,”I’m insane!” He merely dribbled and made meaningless marks on the doors. If the Philistines chose to read those things as signs of insanity, David was not responsible for their deductions. I’m not convinced. Joshua and his troops may not have shouted lying words: “We’re running away!”. But they were clearly aiming to deceive – to give a false impression. So was David. The fact that they did it by actions rather than words surely makes no difference. If I send my child upstairs to have a shower and he comes down with wet hair, clutching a towel, I am entitled to assume he’s done as he was told. If I find out later that he simply poured a cup of water over his head, I’m going to say he deceived me. What about the examples where words were used? Some folk have tried to argue that some of these weren’t actually lies because the words used were ambigous. The listeners understood them in one way but they carried a hidden truth known only to the speaker. David told Ahimelech that he was on the king’s business. And yes, in a very subtle way that was true – because he himself had been secretly anointed as king. Elisha told the Syrians, “this is not the city” and said under his breath, “the city where God wants you to be”. But the Syrians naturally understood him to mean “the city you were looking for”. Again, it doesn’t wash. If my children ever used such double-tongued words, I would say they were being deceitful. “No daddy, I didn’t touch your camera”. (Unsaid: “I didn’t touch it – only my gloves did!”). In some of the examples we’ve quoted, the speaker doesn’t tell direct lies but does leave out relevant facts. Samuel tells the truth when he says that he’ll be offering a sacrifice at Bethlehem. But he gives the false impression that that is his main reason for being there. His main reason is to find and anoint David! What he says is true, but it’s still misleading. I can’t get away from it. Many, if not all, of the passages we’ve quoted, show us people deliberately setting out to put false ideas into the heads of others, whether by words or actions. And in normal English, that is called deceit. The second point many Christians make is that not all of these people were well-taught or mature believers – if they were believers at all. Were the Gibeonites believers? They had some awareness that the God of Israel was the true God but they knew so little about him. They had grown up in an evil, brutal, deceitful society. Small wonder if they thought it was legitimate to lie to achieve their ends. God may have allowed them to get away with it because they knew so little. But that doesn’t mean that it could be right for established believers to do as they did. Ditto Rahab. How could she have known that lying was wrong? God honoured her not because she lied but because she feared him and protected his servants. So the argument goes. And yes, all of that’s true. But it doesn’t cover Joshua, or Samuel, or Elisha, does it? These men are among the greatest and godliest of Bible saints. They were men whom the Lord raised up to instruct others. If the midwives, or Rahab or the Gibeonites were the only men and women who achieved good ends by deceit, I would feel no problem. But they’re not! The third point that’s often made is that we should not assume that the Bible writers approve of all they report – or that God does. Yes, David did lie to the Philistine king, and the writer of 1 Samuel doesn’t tell us he was wrong to do so. But that doesn’t mean he approved of David’s actions. We are not told that Jael was wrong to deceive Sisera. But that doesn’t mean she was right either. The Bible writers often describe events without making any comment. They expect the reader to draw his or her own conclusions. True enough. But that doesn’t cover all these examples, does it? In some cases, the writer does pass verdict on what was done. The Bible writer tells us of the midwives’ lie and then adds, “so God dealt well with the midwives”. Or other people in the story give their verdict. Deborah the prophetess, in her Spirit-inspired song, clearly had no hesitation in commending Jael for the way she had deceived Sisera: “Most blessed of women be Jael, the wife of Heber the Kenite, of tent-dwelling women most blessed. He asked for water and she gave him milk…” Deborah seems to think that Jael did well to give Sisera the impression that she was well-disposed to him. Not just that, but in some cases, when some of these people were following the Lord’s instructions in what they did. The Lord told Moses the words he should use when speaking to Pharaoh. The Lord told Samuel what cover story to use when he went to Bethlehem to anoint David. Even more startling is the fact that we’re not told in any of these examples that the Lord rebuked any of these folk for the way they misled others. And very few (if any) of these people showed any sense afterwards that they had done wrong. After David had misled Ahimelech, he regretted the fact that he didn’t kill Doeg, the traitor who reported the episode to Saul. But he shows no sense that he was wrong to say what he did to the priest. And when you look at the psalm David wrote after he pretended to be mad, far from showing any shame for his deceit, he rejoices in his integrity, and sees his deliverance as being from the Lord. “I sought the LORD and he answered me and delivered me from all my fears. Those who look to him are radiant, and their faces shall never be ashamed. This poor man cried and the LORD heard him and saved him from all his troubles” (Psalm 34:5). No, there seems no room for doubt. In many, if not all, of these cases, the Bible suggests that the people we’ve listed out were right to do what they did. Is that the conclusion we’re supposed to draw? Are we saying that there’s no harm in telling lies? My Sunday-school teachers taught me all those years ago that it is sinful to tell lies. Were they wrong? Jeremiah 5:3: “O LORD, do not your eyes look for truth?”. Hebrews 6:18: “It is impossible for God to lie”. Psalm 5:6: “You destroy those who speak lies; the LORD abhors the bloodthirsty and deceitful man”. Revelation 21:8: “As for the cowardly, the faithless, the detestable, as for murderers, the sexually immoral, sorcerers, idolaters, and all liars, their portion will be in the lake that burns with fire and sulphur, which is the second death”. Why does God care so much about truth? Those are just five out of hundreds of Bible verses which tell us the same things. God himself loves truth and hates lies. God cannot lie. The devil loves to lie. Every lie is abhorrent and horrible as far as God is concerned. Lying is contrary to his very nature. And he has sworn to cast every liar into hell. God’s hatred of lies springs from his own nature as Trinity. From all eternity the Father, the Son and the Holy Spirit have related to one another in perfect and joyful truthfulness. 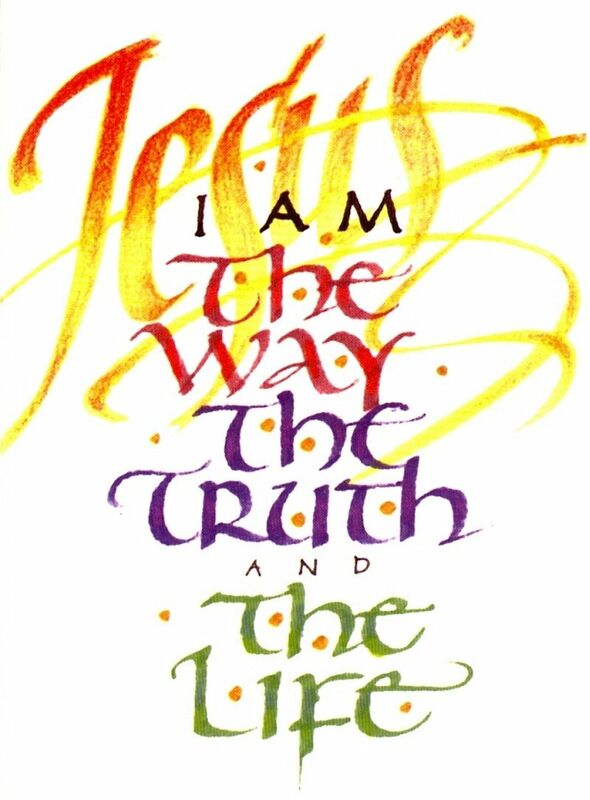 It is unthinkable that any of the Persons of the Trinity should deceive, or mislead, or hide truth from the others. Each Person loves the other Persons with a passionate love which leaves no room for deceit. And God wants the creatures he has made to mirror his own nature. We were made in his image. We are supposed to be like him and our relationships are supposed to be like his. He is horrified, saddened, and angry when he sees human beings acting deceitfully because every lie is an assault on his image in us. If a person says he’s a Christian but habitually or painlessly tells lies, we have to doubt whether he or she is a child of God at all. The thought of telling a lie at any time should make a Christian shudder. Because it makes God shudder. God hates it whenever a lie is told. God hates it whenever anyone tells a lie. And yet there are examples in the Bible where it seems to have been the right thing to do. How can both those things be true? I think the answer is simple. In this fallen world, there are times when it is necessary and right to do something which is evil in itself. We do it, because not to do it would be an even greater evil. We have to choose the lesser of two evils. And though God hates to see what is done, he commands us to do it. Think about something as simple and commonplace as a parent punishing a child. The punishment is intended to be unpleasant. Is it a good thing for a parent to inflict distress on a child? No, in itself it’s an evil thing. But to let the child grow up undisciplined, selfish, cocky, would be a worse evil. So sometimes it’s necessary to inflict the pain. In fact, it’s the right thing to do. God has commanded parents to do it. Or on a much grander scale, think about war. Is it a good thing for human beings to go to war, to kill other human beings made in the image of God? No, it’s an evil thing. God hates to see his creatures maiming and killing one another. And yet the Bible teaches that there are times when it’s right and necessary for a country to go to war. It was God’s will for Joshua and the Israelites to go to war against Ai and the other cities of Canaan. Why? Because the Canaanites were so evil that they could not be allowed to live. It was necessary for Deborah and Barak to lead the Israelites to war against the Midianites. Why? Because the Midianites were intent on destroying or corrupting them. When the Israelites fought those wars, yes, they were doing something that was evil in itself. But it was necessary and right to do it. Not to do it would have been a greater evil. Is it possible to fight a war without ever using the weapon of deceit? I don’t think so. The Israelites needed spies to go into Canaan if they were to campaign successfully. Those spies had to pretend to be Canaanites themselves. They needed strategems like the one they used at Ai. Every general tries to give the enemy false information in order to deceive him. And if the war is right to fight, then it’s right to do that. Deceiving someone is surely a less dreadful evil than killing them. If it is right in times of war to kill people made in God’s image, it cannot be wrong at those times to deceive them. Look through the list of incidents again. And you will see that almost every example is set in a war situation. Rahab had changed sides and joined the Israelites in their war against Canaan. David was defending himself in time of war against Saul on the one side and the Philistines on the other. Elisha was caught up in the war between the Syrians and the Israelites. Even Joseph could say that his brothers had made war on him. He would have been justified in imprisoning or executing them for their treatment of him! He judged that he was entitled to mislead them – for a time at least – to see whether they had repented and the war was truly over! Pharaoh made war on Israelite babies. The Israelite midwives lied to protect them. Should a Christian lie in similar circumstances? I believe it might be the necessary and right thing to do. Would I lie about the whereabouts of my children if social workers were determined to take them from me and hand them over to be brought up by evil people? Yes, if there were no other way of protecting them, I think I would do it. But I would do it conscious of the fact that my lie would be an evil thing, a thing that God hated. I would do it only because not to protect my child would be a worse evil. Would I lie to a terrorist if I thought it were the only way of preventing him from carrying out an attack that would kill scores of people? Yes I would. But I would do it with a sense of horror. If we have to do something as horrible as lying, it is a ghastly reminder of how Adam’s sin has distorted the whole moral order. Lying is horrible. It can never be right for a Christian to lie for his own advantage. Or to lie to get out of an embarrassing situation. Or to lie to cover up his own sins. I can’t imagine a situation where it would ever be right for a Christian to lie to a fellow-Christian. Paul says flatly, “Having put away falsehood, let each one of you speak the truth with his neighbour, for we are members one of another”. To deceive an enemy in a time of war may be necessary. But my fellow-believer is not an enemy – he and I are members of the same body. Living in a fallen world is complicated, difficult and often distressing. If we are to cope wisely with all the dilemmas it brings, we need to heed the whole of Scripture. And we need the wisdom which only the Holy Spirit can give. May God grant us that wisdom. I’m not agree. The Israelite midwives acting to protect the babies but lied Pharaoh to protect themselves, not the babies. “Because the Hebrew women are not like the Egyptian women, for they are vigorous and give birth before the midwife comes to them.” Yes, God save them from the fury of Pharaoh but I don’t think it was for that lie, but for protecting the male children. If the midwives lied to protect themselves, than this affirmation said the christians must lie to protect themselves, wich I can’t see that is the will of God. Al I can see in the Scriptures is that God want us to tell the truth and let Him to protect us. That I understand is the trust that God want to see in us in relation with Him. How can we know that a lie would resolve the problem? What if a lie, or more, would not help us, and the social workers will take the child anyway? What a lie would be for then? If God will allowed this thing happend, than all the lies on the earth would not stop this thing from happening. How would Job’s lie stops the bad things happened to him? How can a lie, a sin, would stop something that God allowed to happen in my life? This is the way that I see things. I think that we need to have the power to thanks God even for things like that, when a child is taken from us by the authorities. Many thanks Florian for this important comment. I agree with you that Christians should not lie to protect themselves. The Lord Jesus did not use deceit to protect himself against his enemies, just as he did not use violence. But I would still argue there are times when it is right to go to war, and I believe that in a situation of war, soldiers must be prepared to deceive the enemy. The hardest thing is to decide when we are in a war situation. I think that Pharaoh and the Egyptians were making war on the Israelite nation. But I know that others might see it differently. You would find it interesting to read Richard Wurmbrand’s words on this subject. He believed that it was right for him to lie to his persecutors in order to protect his fellow-believers. See chapter 6 in his book “Alone with God”. It is entitled “The Absolute Duty of Truthfulness” and it is all about this subject. I disagree with a lot of what he says, but it is certainly thought-provoking.